Orissa/Odisha is a state located on the South east coast of India, their cuisine known as Oriya cuisine.Most of the dishes from thos cuisine tastes delicious coz of their characteristic taste and flavor. This delicious and simple cuisine is influenced by the cuisines of the neighboring states of Bihar and West Bengal. People of Orissa are a happy union of both vegetarians and non vegetarians but non vegetarian foods is usually avoiced during the religious ceremonies, Mustard oil is used in everyday cooking and ghee is used during special days. Rice is the staple food of this state and wheat is the second popular crop, vegetables like brinjal, pumpkin,gourd are usually cooked. A traditional Oriya meal is served on large thali and other dishes are served in small bowls and placed around the large plate.A typical Oriya meal includes the intake of Saaga (green leaf-based dish), Bhaji (fried vegetable dish), Bhaat (rice), Dal (pulse), Besara or Mahura (curry tempered with spices), Machha tarkari (fish curry) and Khatta (chutney). Channa Dali is a preferred dish of the Oriyas which is a sweetened pulse dish tempered with coconuts, raisins, dry fruits and spices. Dalma is another favorite item of the Oriyas as the dish is a mixture of lentils and a number of vegetables and that make it a very nutritional dish. During the summer months the people of Orissa enjoy Pakhala (fermented rice seasoned with yoghurt and spices). Mitha Bhaat (sweetened rice tempered with a number of spices) is also a popular dish. People are also fond of Polao (rice cooked with butter, nuts, raisins, vegetables and spices). No Oriya meal is complete without chutneys, so variety of chutneys are cooked and needless to say Oriya cuisine have a list of sweets especially milk based sweets.Pitha is a local name of cakes which are prepared with traditional methos. Tea and coffee are the popular beverages and Bel Pana is the drink made with milk, a pulp of wood apple, sweetened with sugar and flavoured with black pepper. Fresh Fruit like wood apple,mangoes,jackfruits,watermelons, bananas are eaten by the people in Orissa. 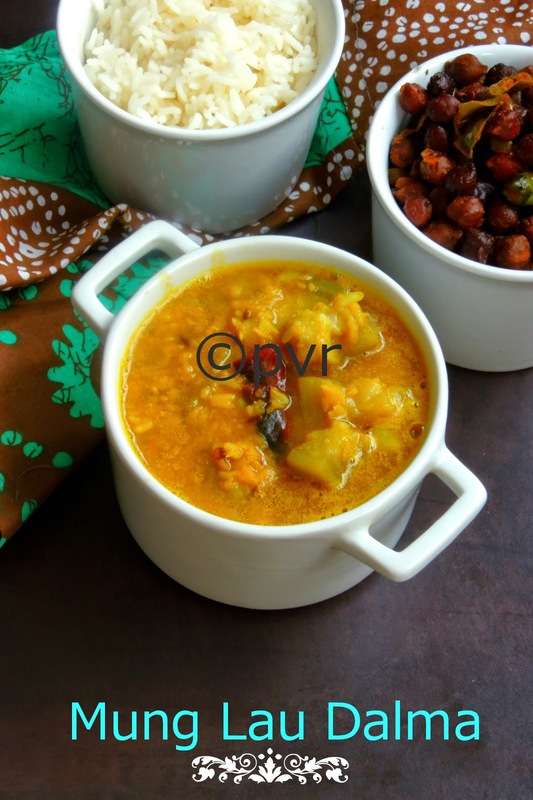 I cooked the famous dalma with yellow moongdal and bottlegourd along with channa chadchadi a stir fry with black chickpeas.Both makes a prefect meal and we had our lunch with these fingerlicking foods. Dalma and channa chadchadi are very quick and simple comforting foods which gets ready easily.Sending to CWS- Chickpeas guest hosted by Nalini. Dry roast the mungdal until the colour changes and a nice aroma comes from. Clean the dal and soak it for an hour. Heat the oil, let crack the cumin seeds, dry red chillies, coriander seeds,fry it. Now add the dal, cubed bottlegourd and add enough water to cook. Add the salt, turmeric powder, chilly powder, mix well and cook until the veggies get cooked. Add finally the coriander powder, cook in high flame for few minutes until the dal gets thick. Cook the soaked black channa in pressure cooker for 2whistles. Drain the chickpeas, keep aside. Heat oil, add the seeds and fry,add immediately the onions and saute for few minutes. Add the green chillies,black channa, cook for few minutes. Now add the coriander powder,chilly powder,cumin powder, salt and cook until the channa gets well coated with spice powders. I love the flavours of the dishes. They are simple yet delicious. Daalma has been on my to do list since long. The channa looks so sinful priya..very nice meal.. 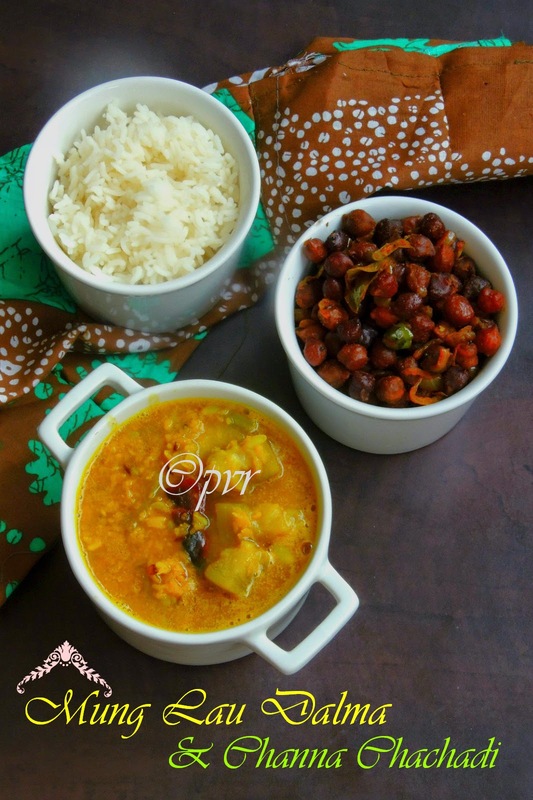 Both the recipes are healthy and protein rich traditional orissa preparations. Nice traditional recipes with Awesome photographs. My MIL makes this dal and we love it! wow you got many dishes!!! nicely done Priya!! Love the meal there. The chana looks very tempting. Never tried Odisha food yet, this looks so delicious..
Priya, i didn't get any invitation for shhh cooking secretly challenge. Can you pass me face book link so that I can join you!! simple n delicious recipe....lovely meal!! Thanks for introducing me to these Northeastern dishes - they all seem so tasty and interesting. Never knew there are so many wonderful dishes from these parts, looks very delicious..
Nice meal. Would love to try the black channa recipe. Though the name is too long the dish is perfect...looks delicious dear..
through your lens, both the simple dishes look very delicious. 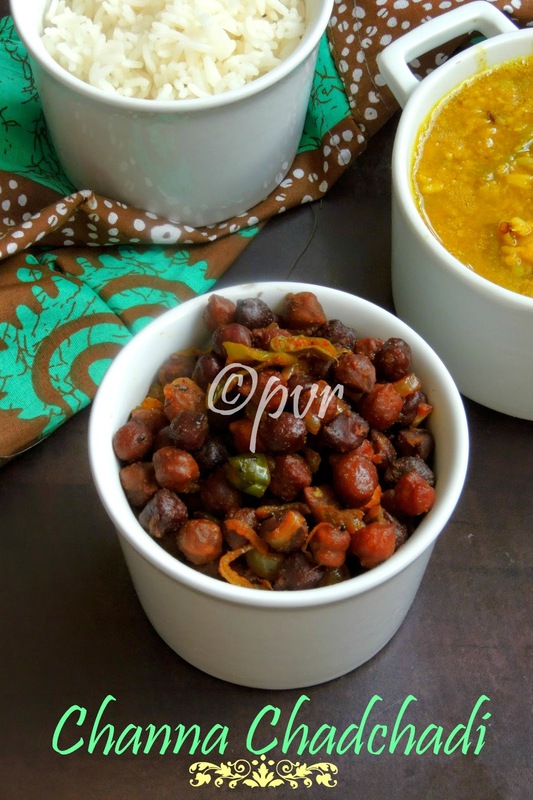 Simple yet comforting dishes,Channa chadchadi sounds inviting.. Both the dishes look so good Priya. The channa dish sounds delicious.. I love the flavours.It beautifully done.